Courtesy photos Suzi Swinehart races at the Western States 100-Mile Endurance Run in 2017. Swinehart recuperates in the hospital after a lupus flare-up last month. A few weeks ago, Suzi Swinehart had a big training day planned. She was supposed to run 30 miles in preparation for the Desert Solstice 24-Hour Track Invitational, a race in Phoenix in December in which runners complete as many laps as possible in 24 hours. But she literally couldn't sit up in bed. Swinehart, 46, of Fort Wayne first started noticing symptoms of lupus in her late 20s. She felt tired, sore and stiff all the time, as if she had a constant flu. She suffered three consecutive miscarriages, which doctors determined were caused by antiphospholipid syndrome, a blood-clotting disorder commonly associated with lupus. She already had six symptoms of the autoimmune disorder, and two years later, when she came down with a seventh, a terrible rash from sun exposure, the diagnosis was confirmed. Swinehart had been a competitive athlete and marathon runner as a young woman, and she told her husband she was worried that the diagnosis spelled the end of her time as a runner. But after a few years, as she and her doctors began to rein in her symptoms, she was able to tentatively return to running. About a dozen years ago, Swinehart and her brother, who had started running marathons together, tried out ultramarathons, races that are longer than the 26.2-mile marathon distance. Swinehart is pretty good at ultra-distance running. She set a world record in 2016, running 73.3 miles on a treadmill in 12 hours, breaking the previous 12-hour treadmill record by nearly 5 miles. In March, she was the women's winner at Badwater Cape Fear, a 51.4-mile race on Bald Head Island in North Carolina. 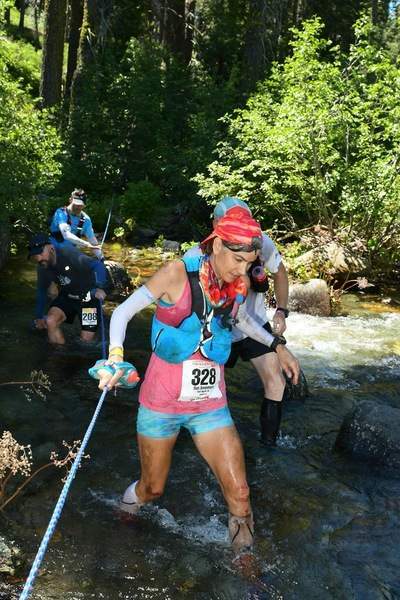 The victory earned her a berth at the 2019 running of the Badwater 135, which bills itself as “the world's toughest foot race.” The 135-mile route begins in California's Death Valley and concludes at the trailhead for Mount Whitney. The race includes more than 8,500 feet of climbing and is held in July, when temperatures in Death Valley can approach 130 degrees. It's Swinehart's dream race, a competition so grueling that she had to specially train just to pace a friend for a few miles at this year's race. And here she was early this fall, hospitalized with a lupus flare-up when she was supposed to be training for Solstice and Badwater. 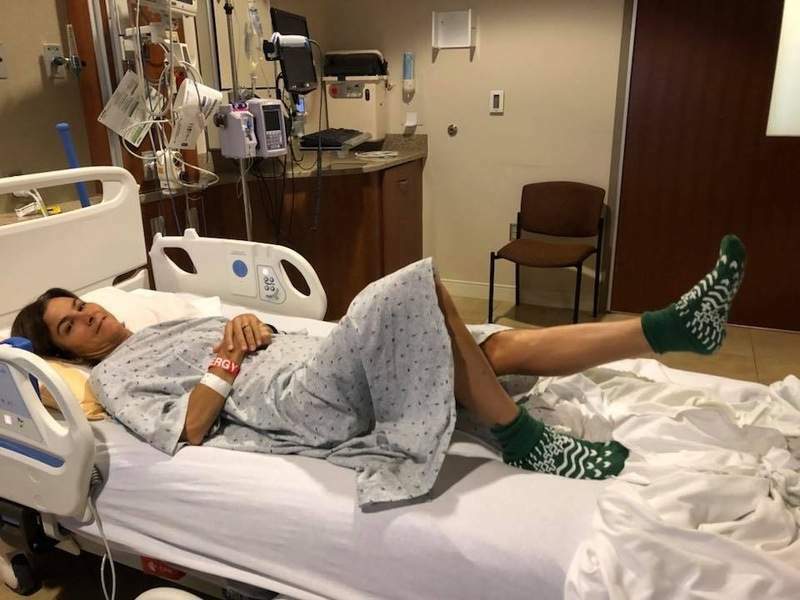 “I was in the hospital for a week with neurological issues,” Swinehart said, describing an attack similar to a stroke that left her with tingling and weakness in her feet and a loss of balance. Complications from a spinal tap caused a leak of spinal fluid, and even after she was discharged from the hospital she suffered splitting headaches if she sat up. She is feeling better and back to training now, but she does admit that she worries what would happen if another flare-up hit right before a big race. Because of the magnitude of the challenge at Badwater 135, race organizers encourage competitors to run for a cause. Swinehart, unsurprisingly, will be racing for the Lupus Foundation of America, which provides support and funds research. 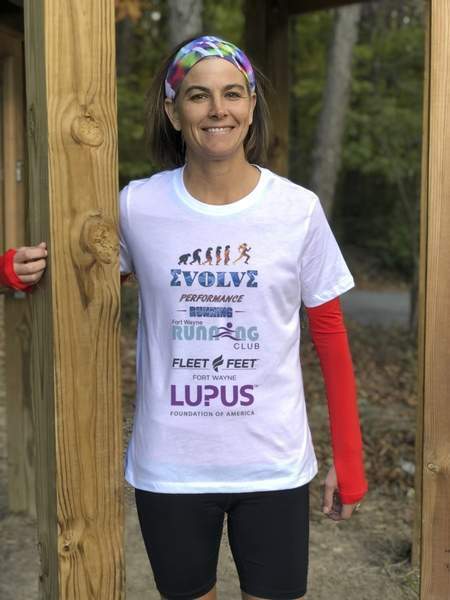 “People don't really know what we go through on a daily basis,” Swinehart said, noting that many of her own friends and acquaintances hadn't heard of lupus until she had to explain her hospitalizations. Although the disease used to be fatal in many cases, Swinehart and many other lupus suffers can now manage the conditions with medication. Still, there is room for improvement. Swinehart said she knows the rigors of ultra-distance running sometimes exacerbate her condition. Then again, so do the unavoidable stresses of having two jobs (part-time behavioral therapist and running coach) and being a married mom of four kids, ages 7 to 19.